Usually I stick to fantasy on this blog, with occasional forays into historical fiction and science fiction. I’m making an exception for this book. Partly because I really just want to talk about how awesome it is, and partly because I read it as part of my attempts to read more books written by local authors – Shropshire authors. The A to Z of You and Me by James Hannah tells the story of Ivo, a terminally ill 40-year-old looking back through his life as part of a game suggested for him by Sheila the nurse at the care home where he now lives. It’s a life of fun, regret, love, pain, friendship and crochet. As time runs out, Ivo uses the A to Z game to put things back together before it’s all too late. I’ve already told you this book is amazing, or I wouldn’t be reviewing it on my blog. It really is. It’s moving, heartfelt, funny, sad and beautiful. A lot of that is because of the narration. The story is written in a mixture of first and second person – as if Ivo is telling the story to Mia (the “you” of the title). Ivo’s voice is strong, colloquial, informal, as if he’s really saying or thinking the words on the page, not writing them at all. This narration invites identification with Ivo, it pulls you in and makes you feel what he’s feeling. It makes everything so much closer, so much more powerful – all the feelings of joy and sadness and grief and hope. I cried. Several times in fact. But the tears didn’t last long. There’s a lovely humour to this book too. Ivo’s a funny guy. The sad episodes are relieved, balanced out, by the funny parts, the sweet parts, the hopeful parts. In fact, there’s a good balance across this book overall. Things ending is balanced out by the hope of other things beginning. Regret balanced by memories of past happiness. Crochet hearts hanging from trees in an unreclaimable past to crochet hearts hanging from trees in the future. 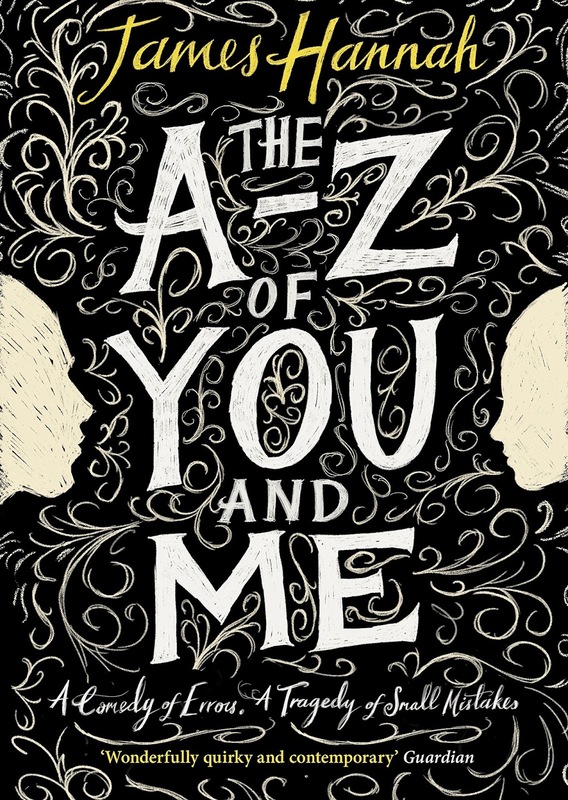 In case there was any doubt, I rate The A to Z of You and Me by James Hannah 10/10. It’s fantastic. Go and read it.